There’s no denying that the effects of a brain injury extend way beyond the person injured. Whether it’s a child or an adult, the entire family unit will feel the impact, both immediately and longer term. Families often describe a rollercoaster journey lasting for years, before they settle into a ‘new normal’. Roles and responsibilities and the dynamics of the family group can be turned upside down and inside out by changed behaviours, caring responsibilities, financial constraints, welfare considerations, and communication challenges. 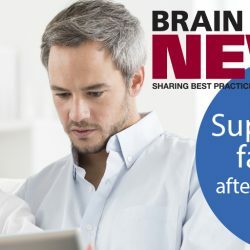 In this issue of Brain Injury News, leading neuropsychologist Jo Johnson looks at the overall impact on family relationships and some of the issues to be aware of (page 3), and Dr Katie Byfield considers how families can be helped to recover in her article (page 13) on resilience. Some of the practical issues that present themselves in these circumstances are also addressed: we look at family finances on page 7, and dealing with the Court of Protection and deputyship matters, should the injured party be incapable of managing their own affairs, on page 12. We have first-hand testimony from an inspirational brain injury survivor on page 10, and The Children’s Trust share their experiences of supporting families through the rehabilitation process, including an account of the changing relationship between twin girls on page 14. 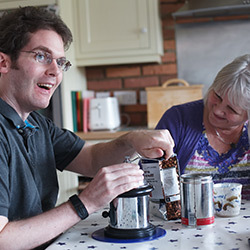 The role of carer is often taken for granted, surprisingly even when the carer is a child or young person. Carers Trust provides some disturbing statistics on page 8 and highlights where young people and professionals can get support. View the Spring 2016 edition of Brain Injury News through the link below.